We live in a time where you can be sat having breakfast here in GBR, with your mobile phone or tablet beside you, planning exactly where to go for the day throughout London. 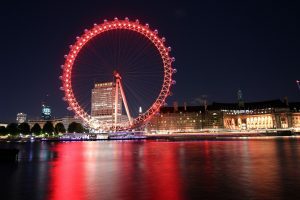 You can research attractions, book tickets, find seats for shows and find information on almost anything else you could want to do whilst you’re staying here in our wonderful capital city. And there’s no doubt this is brilliant. Very few would argue having all that power at your fingertips whilst you’re sat sipping your morning cappuccino and tucking into your eggs benedict is anything other than fantastic. Valentine’s Day is just a few short days away, and here at DUKES we are getting ready to celebrate the most romantic time of the year. Every February, lovebirds descend upon London, in search of the perfect day with their significant other, a day to show each other just how much they really care. Van Gogh’s Sunflowers is now at The National Gallery! Bask in the spring air and immerse yourself in blooming flowers whatever the weather at The National Gallery with its amazing new exhibition, Vincent Van Gogh’s ‘The Sunflowers’. For the first time in 65 years, The National Gallery is reuniting two of the five paintings in his most celebrated series of works. ‘Sunflowers’ was created in 1888, two years prior to Van Gogh’s tragic death. The paintings are a reflection of his friendship with the French artist Paul Gauguin, for whom they were made to decorate his bedroom. The show also reveals new insights into their artistic collaboration, and offers a deeper understanding of these works of art. ‘Sunflowers’ is all the more fascinating when you consider the events surrounding its creation. Van Gogh himself described the paintings as “a decoration in which the raw and broken chrome yellow will blaze forth on various backgrounds”. These two works, one a replica of another, were produced throughout a period where his and Gauguin’s relationship dramatically deteriorated. Following it, Van Gogh suffered a breakdown and cut off his ear. Don’t miss the opportunity to see this masterpiece, an artistic landmark, as the exhibition is in its last month, ending on 27th April. Top off your day by reflecting on Van Gogh’s genius talent with an afternoon tea at DUKES London. Just a short walk away, DUKES offers delicate finger sandwiches, freshly baked scones and a varied selection of cream cakes to enjoy in our elegant drawing room and conservatory whilst overlooking a peaceful courtyard garden. London’s most eagerly awaited fashion exhibition, The Fashion World of Jean Paul Gautier: From the Sidewalk to the Catwalk, arrives at the Barbican Centre this April. The show will display over 150 exquisite ready-to-wear and couture pieces from various stages of his 40-year career. Gautier is renowned worldwide for his ability to push fashion boundaries with his daring designs and outrageous statements, and it’s this facet which has earned him a firm place in fashion and design history. Well-known for his enthusiasm in erasing the boundaries between cultures and the sexes, Gautier has developed a strong international fanbase which will certainly be rewarded by this unique exhibition. Highlights from the show include Madonna’s infamous conical corset from her 1990 ‘Blonde Ambition’ tour, a variety of bespoke pieces designed for Kylie Minogue, and stunning footage of some of Gautier’s most fabulous, theatrical catwalk shows. The Fashion World of Jean Paul Gautier is being held at the Barbican in London from 9th April until 17th August 2014, and tickets cost between £7.25 and £14.50. 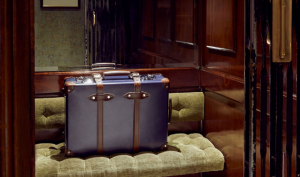 Whilst in London, come over to DUKES London and treat yourself to a luxury Easter break with us. Our Spring room prices include a complimentary upgrade to the next category, sweet treat upon arrival and full English breakfast. Or why not come and enjoy one of our fabulous cocktails? Ian Fleming, creator of James Bond, loved our martinis! Visit Turner Prize winner Martin Creed at Hayward Gallery! 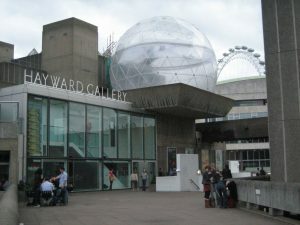 If you’re a fan of contemporary art, the Hayward Gallery in London’s iconic Southbank Centre is currently playing host to one of the biggest names in the industry. Turner Prize winning artist Martin Creed is the main attraction at the Gallery until April, where the exhibition displays his take on playful contemporary art. Creed has been one of the most significant names in British art since his 2001 Turner Prize win, in which his Work No. 227 centred around an empty room in which the lights went on and off. The Wakefield born artist has seen his success advance since the 2001 win, and for the past 13 years his exhibitions have been seen all around the globe. Taking everyday materials and transforming them into surprising new forms, his artistic pieces aim to challenge the standard perceptions of run of the mill events and objects. The current exhibition displays pieces that incorporate a running theme of exploration of the invisible structures that run through our lives. The exhibition is currently on display and runs until 27 April at Southbank’s Hayward Gallery, with tickets costing £11 per person. 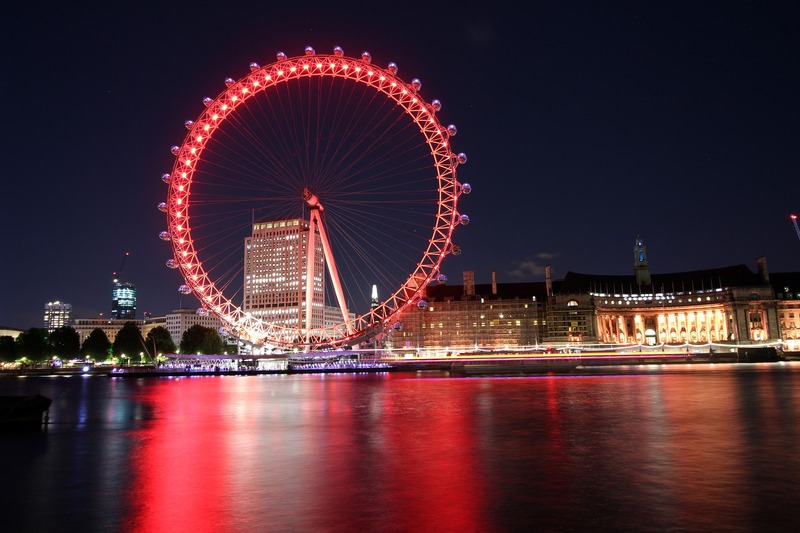 If you’re making the trip to London to sample some of the world’s best contemporary art, why not check into DUKES London and base yourself in beautiful surroundings from which you can enjoy a full weekend of sightseeing in one of the world’s most cultural capital cities? Image courtesy of Sheila Thomson. Looking for something different to do this Valentine’s Day? Whether you’re one half of a happy couple or going it alone this year, Keats House is the perfect place to spend your evening on February the 14th. The idyllic house in Hampstead, where legendary poet John Keats lived during the years 1818 to 1820, is opening its doors on Valentine’s Day evening, offering a unique and exclusive experience. During this period, Keats was at his most productive, and the surroundings inspired some of his most memorable poetry. According to his friend and lodger Charles Brown, ‘Ode to a Nightingale’ was written under a plum tree in its very garden. What’s more, it was during Keats’ time in the Hampstead house that he fell in love with his ‘Bright Star’, a young girl named Fanny Brawne, the girl who lived next door. Late Night Keats offers a variety of music, games and champagne whilst embarking on a journey of Keats’ poetry, romance and eventual heartbreak. The perfect event for lovers of literature, this event is not to be missed. The event runs from 18.30 until 21.30 on Friday 14th February. Tickets for the event cost £8 including a glass of bubbly and are available from the event website. And after your romantic evening, why not check into DUKES London with one of our many offers for a truly memorable stay in London? London’s favourite one-stop destination for contemporary art, the Saatchi Gallery is introducing its exciting new exhibition for Spring 2014 – New Order II: British Art Today. 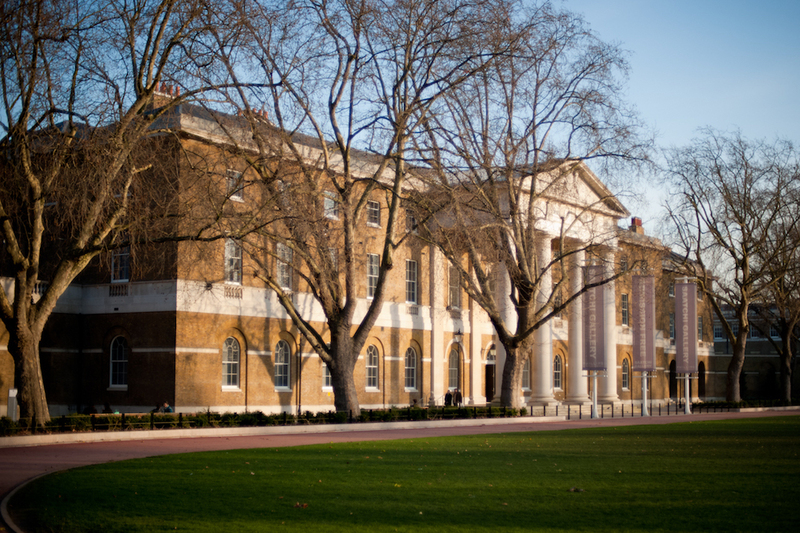 The Saatchi Gallery was opened in 1985 by Charles Saatchi to exhibit his extensive collections to the general public. The gallery hosts a variety of artwork genres, from minimalism and US artistry to examples of contemporary Chinese art and works by Young British Artists. For 25 years, the Saatchi Gallery has strongly supported emerging artists and aims to make contemporary art as widely available as possible to both a British and an international audience. The much-praised exposition is a sample of works from 13 of the most promising and talented up-and-coming artists of the moment. Highlights of the display include Virgile Ittah’s ‘Regarding the Pain of the Other’, a wax and marble powder figure, portraying the concept of isolation by using the human body as a canvas. New Order II: British Art Today is appearing at The Saatchi Gallery from the 24th January to the 23rd March 2014 and entry is completely free. After the exhibition, pop over to DUKES London for a delicious three-course lunch cooked by the brilliantly talented Nigel Mendham – or our wonderful afternoon tea!